Tired of wasting money on dates? Hate being asked silly questions and sick of all the nagging? 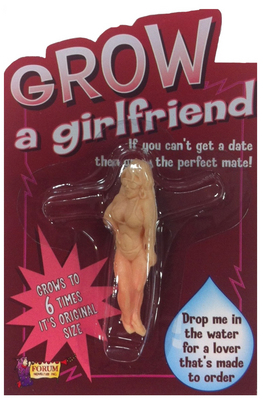 Why not use the Grow A Girlfriend to create the ideal woman? The spongy lady will grow to about six times its original size when placed in room tempurature water and then in a few days she'll be ready for a night on the town.